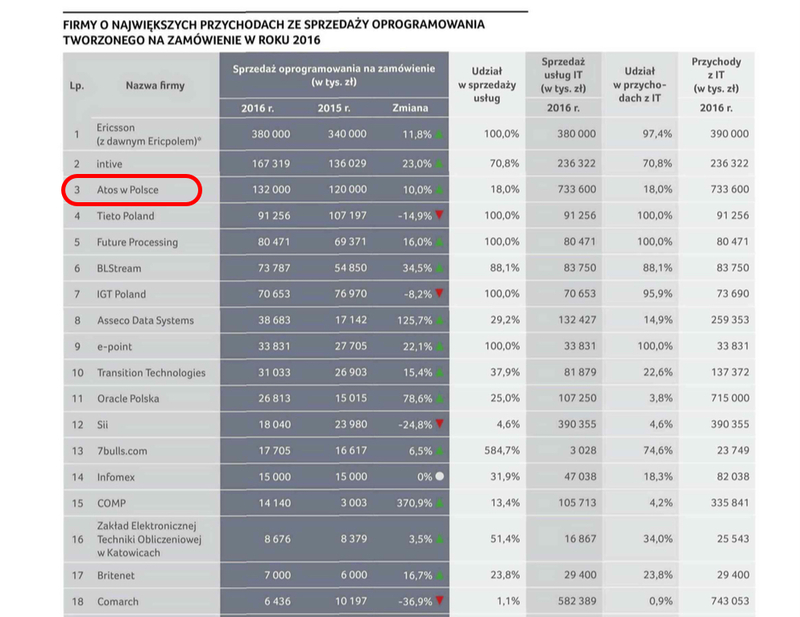 Atos won in a number of categories and reached the highest places in the annual ITWiz Best 100 IT Companies in Poland. 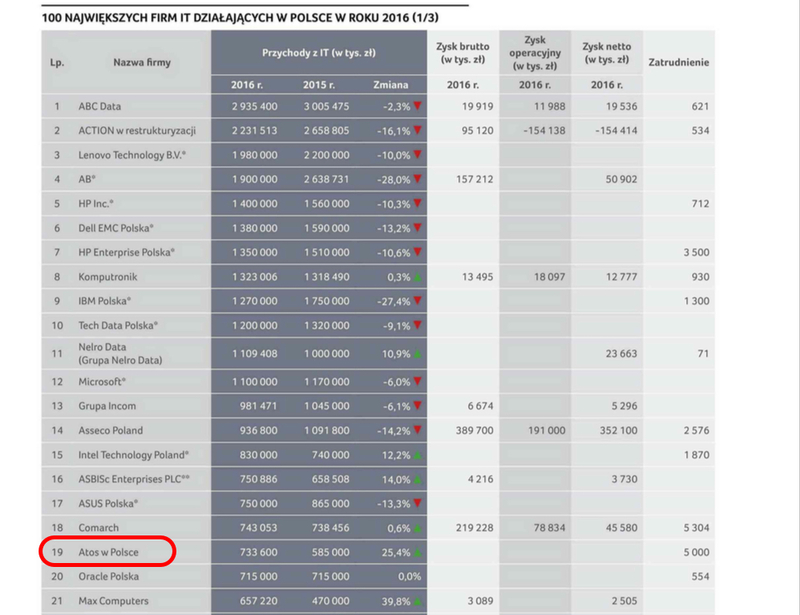 The Polish IT market in 2016 was undoubtedly influenced by two major transactions. The first was announced in October 2015 and finalized in September 2016, Dell’s merger with EMC. The second was the decision in mid-2016 to separate the Enterprise Services from Hewlett Packard Enterprise. Negative impact on the whole indusrty was mainly driven by significant decline in public sector orders and the decline in almost every hardware-related category. 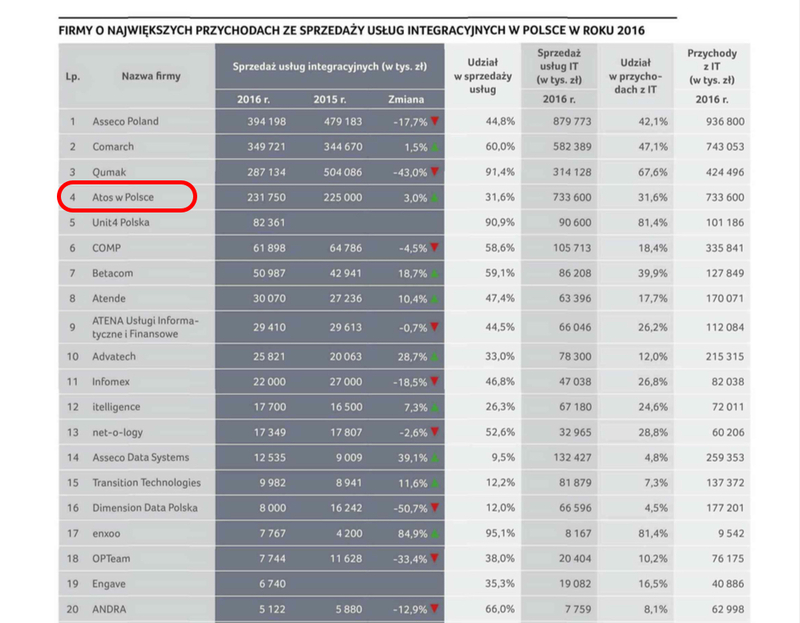 “Atos’ success and industry recognition expressed by leading positions in two most important IT rankings in Poland shows, that the strategy we pursue brings results. We successfully identify new business opportunities, relying on whole team’s engagement and using its innovation. For me personally it also is a good wrap-up of Atos’ development within almost two last years, which I spent in the organization”. – sums up a leaving head of the company Norbert Biedrzycki, Managing Director Poland, Vice President Systems Integration CEE. 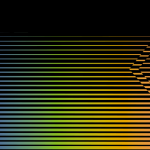 Rapid progress in artificial intelligence will continue to be made and be widely reported. Autonomous vehicles will proliferate, and it would be good to see serious, in-depth articles about industry regulation rather than last year’s sensational coverage focusing on accidents and disasters. How to handle DATA so that you do not go crazy? Information and data are getting more market value. Therefore, how should the company behave in order to strengthen competitiveness? What benefits can individual customers derive from a world dominated by huge data sets? Imagine an economic system in which concepts such as profit, margin and supply-and-demand were replaced by trust, participation, sharing, and the responsible, sustainable use of resources. Congrats! 🙂 Do you have some data from 2017? 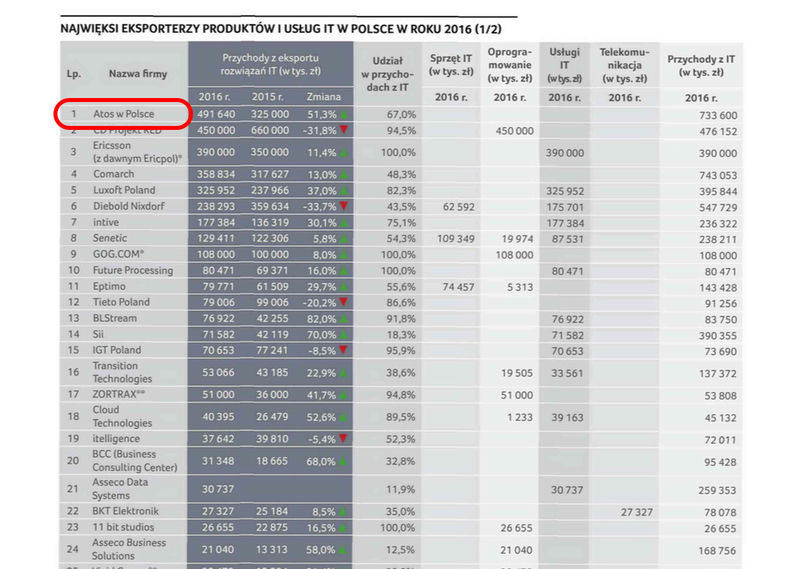 As a software company from Poland, we’re really curious what is going on in polish IT outsourcing market! Check out our services: https://zaven.co/services/mobile-app-development-poland.html Maybe we can cooperate in the future?